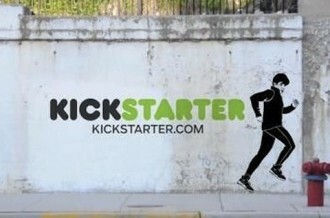 Kickstarter’s overwhelming success has been met with more than a few questions from backers and the public in general. The site addressed accountability regarding refunds and failed projects a couple of weeks ago but now they are taking things a step further by implementing some new rules that project creators must adhere to. From now on, project creators will be required to fill out a Risks and Challenges section. This information will help reinforce that creators’ projects are indeed in development and permit backers to better judge the creator’s ability to complete the work as promised. There are also some new hardware and project design guidelines. First, creators are no longer allowed to display simulated projects or renderings. Potential backers will now only see what a project is capable of in its current design state. Kickstarter says over-promising can lead to higher expectations from backers although not everyone is likely to agree with this. Such restrictions could certainly have an impact on how successful certain categories are compared to others. Furthermore, creators can only offer single quantities of a reward instead of bundling multiple copies of a product into a single package. The site points out that offering multiple quantities feels premature and could give the impression that products are shrink-wrapped and ready to ship out right away. I would assume that one could still purchase multiple quantities of the same single reward to get more than one copy, however. These new guidelines are effective immediately for all projects moving forward.